How do you handle smoking breaks? Different companies have different policies, but it can often be a bone of contention with employees and employers alike. Are smokers taking longer breaks than the time removed from their lunch? Are they deducting the correct amount of time from their lunch break? Why can’t non-smokers benefit from these little breaks throughout the day? Not to mention that people going missing for at least five minutes at a time periodically throughout the day is likely disruptive or at the very least irritating for those who don’t smoke. There are arguments from both sides, and companies have been struggling to find an ideal solution. For one company in Japan, they’ve come up with a rather elegant solution and it seems to be working quite well. As reported by the Huffington Post, the company is offering non-smokers an extra 6 days vacation per year to make up for the constant smoking breaks offered to smokers. Not only is this alleviating the annoyances of non-smokers, it has also motivated several employees to quit smoking altogether. You can read the full article here. No matter your smoking policy, it can be agreed that effective and simple monitoring of smoke breaks, just like standard breaks, would go a long way to keeping everything fair. A time and attendance system such as Captureit can help you keep track of exactly when employees go on their smoke break and for how long. 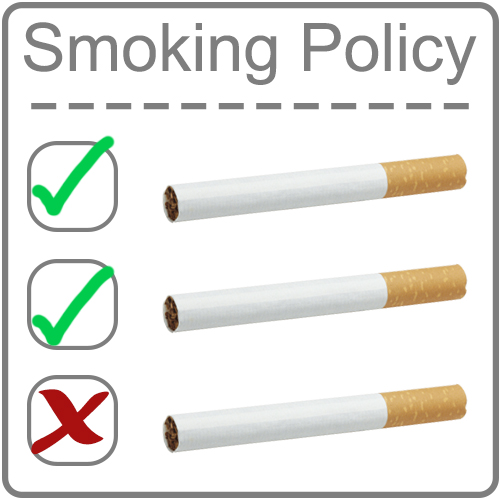 It can also ensure that smokers are deducting the necessary amount of time from their lunch breaks should that be the policy. Captureit also supports access control which can help in monitoring smoking breaks. If your company policy is to have fixed smoking break times throughout the day, the door to the smoking area can be locked until the correct times, at which point employees would then be able to gain access. A time and attendance system helps to keep everything fair, and that everyone is getting what they are entitled to. It stops arguments and rumours of people “taking longer than they should” or “taking too many breaks” etc. There’s proof of everyone’s actions throughout the day. This is on top of all the standard benefits of having a quality time and attendance system.